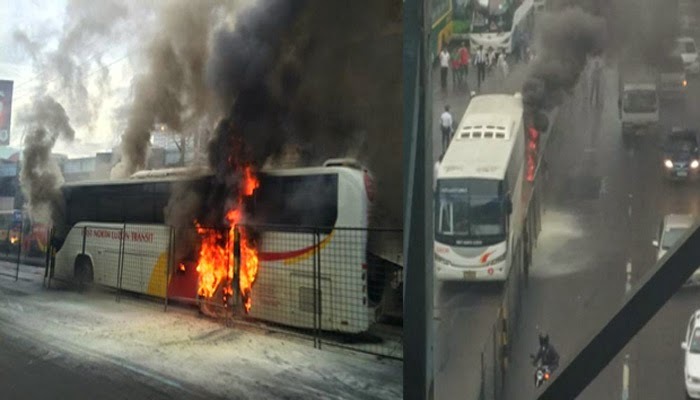 Look at the bus that was burning along EDSA in Quezon city, the bus First North Luzon Transit reported to have an electrical short circuit this afternoon. 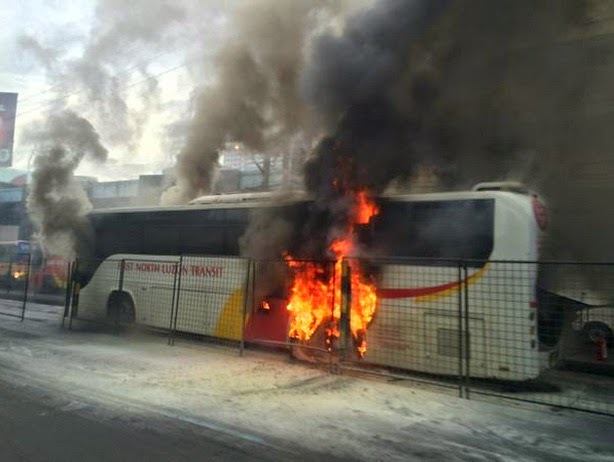 The MMDA already tweeted the incident citing the heavy and long traffic that caused by this burning bus. Bus along EDSA caught on fire djKitchie tweeted this images. According to the initial reports there are no casualties of this accident.